In the spirit of making Eastridge a great place to work, this month, we rolled out our latest and one-of-a-kind fitness benefit: Starting Strength. It’s a training method that has been developed over decades, defined by simple, structured, and safe weightlifting. Having discovered Starting Strength a year ago, Jason Svet (President of Workforce Technology & Workforce Management) quickly realized its benefits. He invited a pilot group of Eastridge employees to join Valens Strength & Conditioning - a Starting Strength gym near our headquarters in San Diego. With the buzzing success of our pilot group, Eastridge formalized a company-wide Starting Strength subsidy that covers the majority of the cost of being a Starting Strength gym member for all of our locations across the country. For those team members who are not near a Starting Strength gym, Eastridge also helps cover the cost of Starting Strength Online Coaching. 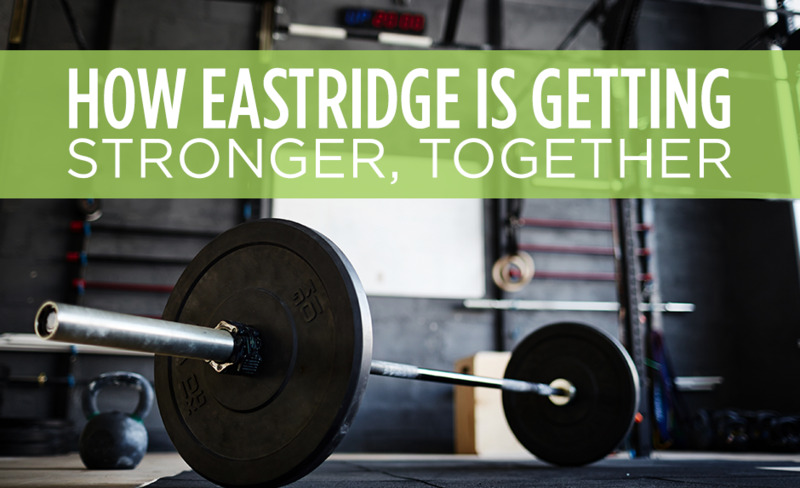 In fact, Eastridge is the only company in the world that offers a formal Starting Strength fitness benefit. Since inviting our employees across every division to come together over a shared challenge, we’ve seen inspiring growth and the fostering of new relationships. To learn more about Eastridge and our commitment to impactful team building, contact us today.